Free food, free, drinks, lots of give aways and prizes. Family event so bring the kids! 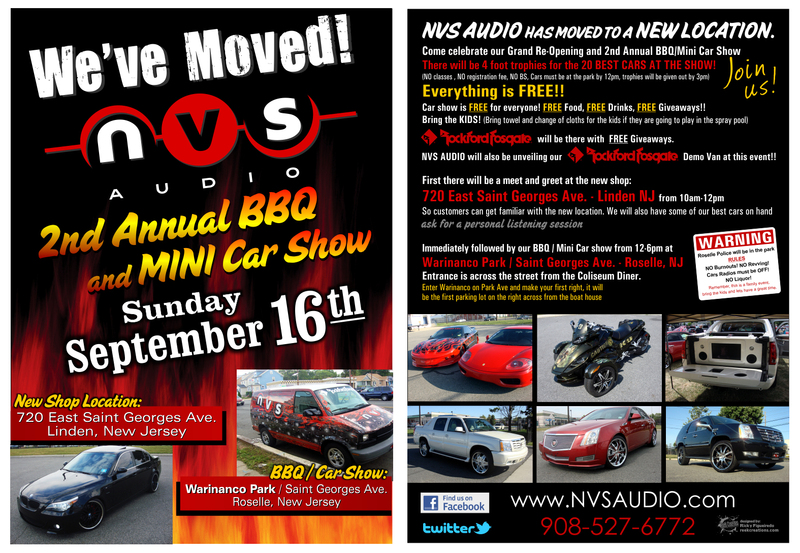 NVS AUDIO Has moved to a new location. There will be 4 foot trophies for the 20 best cars at the show! Car show is free for everyone! Free food, free drinks, free giveaways!! Rockford Fosgate will be there with free giveaways. 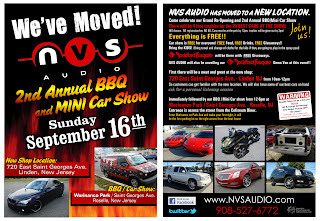 NVS AUDIO will also be unveiling our Rockford fosgate Demo Van at this event!! No burn outs! No revving! Cars radios must be turned off! No Liquor! Remember , this is a family event, so bring the kids and lets have a great time. Entrance is across the street from the Coliseum Diner.